Protect your skin. If you have vitiligo, particularly if you have fair skin, use sunscreen to protect your skin from the sun's harmful rays. Sunscreen helps protect your skin from sunburn and long-term damage. Sunscreen also minimizes tanning, which makes the contrast between normal and depigmented skin less noticeable. Conceal imperfections. Cosmetics that cover the white patches on your skin may improve your appearance and help you feel better about yourself. These cosmetic products may be particularly effective if you have vitiligo that's limited to exposed areas of your body. You may need to experiment with several brands of concealing cosmetics, such as Dermablend or Chromelin, before finding a product that works best for you. Reduce exposure during the sun's peak hours, between 10 a.m. and 4 p.m. If you must be in the sun, make sure you have the proper gear: protective clothing, sunglasses, broad-brim hat, and broad-spectrum sunscreen with at least SPF 15. Reapply sunscreen every two hours to maintain protection. And always reapply after being in the water, even if the bottle says "waterproof." Use only broad-spectrum sunscreen with an SPF of 15 or higher. SPF only tells you how much protection from UVB (the "burning" rays) the product provides. For protection against UVA (the "aging" rays), look for sunscreen that contains at least 5 percent Zinc Oxide. UVA rays are constant throughout the year. Sunscreen should be worn when it's cloudy and in every season. Visit your dermatologist once a year for a complete body screening. Because most sunscreens provide a water-resistant base and therefore will not adhere to wet surfaces, it is extremely important to apply to dry skin before going outdoors. An average adult should use the equivalent of 1 fluid ounce per full-body application. While Blue Lizard will remain effective longer, it's recommended that all sunscreen is reapplied every two hours. Also remember to reapply after vigorous activity or toweling off. The skin is our largest organ. Think about that. Cancer in any form is scary, but if you could keep it from invading your body's largest organ, why wouldn't you? More than 90 percent of skin cancer cases are caused by sun exposure. That means you can prevent it. And no, you don't have to stay out of the sun to be safe. You just have to protect yourself. At Blue Lizard, it's our No. 1 goal to provide a product that allows people to enjoy the sun without fear of this non-discriminating disease. We never have and never will offer sun products meant to tan; we are strictly a sunscreen company. Read on for some eye-opening facts about the MOST COMMON and FASTEST GROWING cancer in the United States and tips on how you can prevent it. More than 1.5 million new cases of skin cancer are diagnosed each year in the United States. 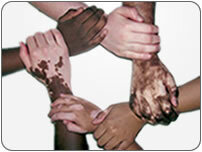 One in five Americans and one in three Caucasians will develop skin cancer in the course of a lifetime. The incidence of melanoma, the deadliest form of skin cancer, is rising faster than that of any other cancer. There are now nearly 8,000 melanoma deaths every year. * One person dies every hour from skin cancer, primarily melanoma. The majority of people diagnosed with melanoma are white men older than age 50. Skin cancer is the No. 1 cancer in men 50 and older, ahead of prostate, lung and colon cancer. In the past 30 years, skin cancer has tripled in women younger than 40. Melanoma is the second most common cancer in women aged 20-29. Regular sun protection throughout childhood can reduce the risk of skin cancer by 80 percent. In the past 20 years there has been more than a 100 percent increase in the cases of pediatric melanoma. The effects of photoaging (skin aging caused by the sun or tanning machines) can be seen as early as in one's 20s.